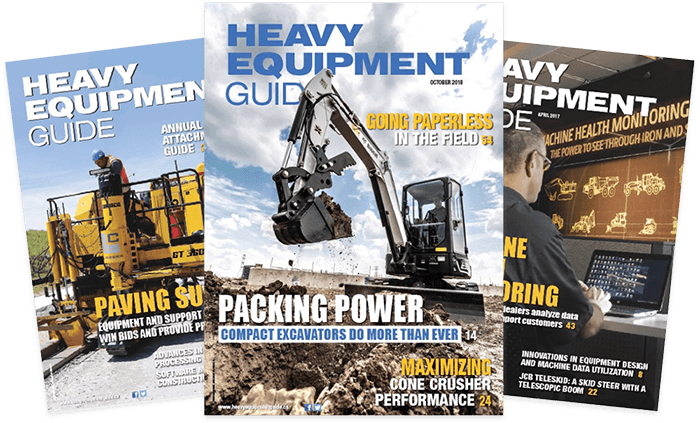 Heavy Equipment Guide covers the latest industry news, product information and new equipment technologies for the Canadian construction, road - building, and aggregates markets. Extensive coverage including the following equipment sectors: earthmoving, asphalt paving, roads & bridges construction, concrete construction, aggregates, cranes, trucks, equipment management, light & compact equipment and the rental market. 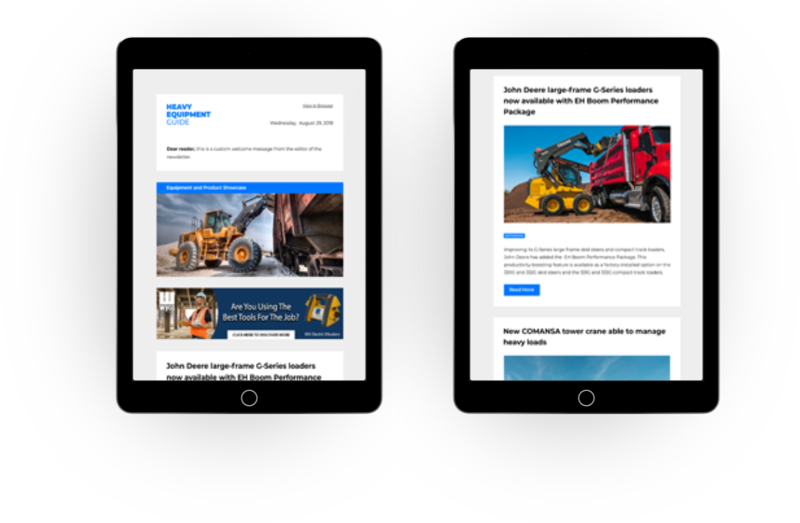 Our newsletter includes information about newly released equipment and technologies for the construction, road building and aggregates industries. You will also get up to date industry news, product introductions, along with information about manufacturers, distributors and rental outlets.